MDM Aero is a staffing agency which support a number of aviation companies through out Canada. MDM Aero is currently seeking AMEs holding a Transport Canada license. 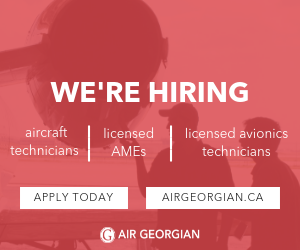 Positions are available for Sheetmetal technician, Avionics and Mechanics. MDM Aero is also currently seeking Unlicensed individual however, they must have a minimum of 6 years of aviation experience. MDM Aero is seeking individuals who are willing to work in Quebec or Ontario.